People in myths live forever — or do they? For every Apollo or Persephone, there are the women and men whose lives these famous deities intersect in the telling of the tale — but who otherwise fall from the page, and from thought. Can they be resurrected? Katharine Beutner thinks it’s possible, and sets to doing so with Alcestis, her debut novel. Who is Alcestis and why does she deserve another look? Beutner explains all. My Big Idea was to stick myself with the task of retelling a myth many people aren’t aware of in the first place. Alcestis was Mycenaean royalty—her grandfather was the god Poseidon, and one of her sons joined the group of warriors waiting inside the Trojan horse—but she’s remembered largely as a model of the perfectly self-sacrificing wife. She chooses to go to the underworld in her husband’s place when the god Hermes comes to retrieve him; three days later, she’s rescued by Heracles, and brought home to the world above, silent, where she’s celebrated for her virtue. In most versions of the myth, that’s all we ever learn about her, even though she is, to the best of my knowledge, the only female figure in classical mythology who enters the underworld on purpose. You might say I began writing this novel with a big question, then, rather than a big idea: why would Alcestis choose to die? I wasn’t satisfied with the traditional explanation of selfless wifely devotion, and when I first read Euripides’ version of her story, I was frustrated by how easily the play dismissed Alcestis’s heroism. (Also, I kind of wanted to punch both Heracles and Alcestis’s husband Admetus.) I’d first encountered Alcestis in Rainer Maria Rilke’s gorgeous poem “Alkestis,” which ends with her disappearance. That poem gives Alcestis dignity and grace but also chooses not to portray her experience directly. My novel follows Alcestis from her childhood through her time in the underworld, where she falls under the power of the goddess Persephone. Any story about a living woman entering the realm of death is inherently fantastical, and I drew inspiration from some of my favorite fantasy novels, such as Ursula Le Guin’s The Left Hand of Darkness and Sheri Tepper’s The Gate to Women’s Country. Yet I conceived of this book as not only historical fantasy but also a kind of first-contact novel. I wanted to describe what it would it be like, as a human who grew up in that god-haunted world, to face the gods’ alien capriciousness firsthand, and to find your life tangled up with theirs in the way you’d only heard about in songs. In the underworld, Alcestis seeks her sister Hippothoe, who died when they were both children; she also finds herself captivated by Persephone’s passionate interest in her. All of Alcestis’s actions are shaped by her culture and her training as a royal daughter of Iolcus, but she’s woefully out of her depth, despite her own Olympic blood. Despite growing up in a society molded by the interference of gods, she has little notion of how to handle a goddess and even less idea how to resist one. And that brings me to a second big question: what happens to the usual structure of the mythic romance if that romance involves two women? In one of my high school English classes, a favorite teacher of mine described Odysseus’s entanglements with Circe and Calypso by shrugging and noting that, in the world of the Greek epic, “goddesses happen.” The traditional myth of Alcestis makes clear that her husband Admetus earns his special dispensation from death because he is a favorite of Apollo. I kept that element of the myth and paired it with Persephone’s pursuit of Alcestis. In my version of Mycenaean Greece, goddesses happen to women as well as men. I aimed to give Alcestis her own epic tale, one as dramatic as the stories of Odysseus, Aeneas, or Orpheus. But I also wanted her to be accessible to contemporary readers of historical fiction and fantasy. In the original myth, Alcestis is supposed to represent the ideal of Greek womanhood, but not because of any special abilities or magical inheritance (unlike Achilles, that big cheater). I’ve tried to preserve a sense of her as a real and ordinary person, to allow readers to enter her world as immersively as she enters the underworld and to fully experience her strange, remarkable, too-little-known story. Read an excerpt from the novel here. Follow Beutner on Twitter. Technical note unrelated to the book: Please see this note regarding the presence of links to Amazon. What an awesome idea! I remember reading Euripides ‘Alcestis’ in my Undergrad greek translation course, and feeling dis-satisfied with the portrayal of her. She could have been so much more! Granted, part of that feeling was probably brought on by immediately following it with ‘Medea’, who is decidedly memorable. Anyway, kudos to Ms. Beutner for a great idea. I shall definitely add this to my ‘To be read’ pile. I love the blending of myth and reality. I have sent a sample to my Kindle (thank you, John, for keeping up the Amazon links–hope your books come back soon-though I have them already!). I just recently discovered your blog in the publishing/retailing mess this weekend, and I’ll be reading through the back catalog of Big Ideas. I am always on the lookout for new writers. I really want to read this book! I think this story sounds fascinating. I’ll probably wait till paperback though because hardcovers are exhausting. Does that make authors hateful? Paperback readers? Nice write-up and it sounds like an interesting and well done concept! Hmmm, is the Mycenaean myth of Alcestis a retelling of the Summerian Descent of Inanna do you know? How totally awesome! I can’t wait to read it, especially because goddesses happen to women too. Brilliant! I loved Richard Purtill’s books about Crete- this sounds like a similar sort of experience. Ordinarily, I would add this book to my Amazon wish list. I think I’ll start a new list elsewhere, with this book at the top. Sounds like The Penelopiad by Margaret Atwood in concept. Requested it from my public library! I love stories about ordinary people in extrodinary cercumstances. Thank you, Mr. Scalzi, for introducing me to another new author. 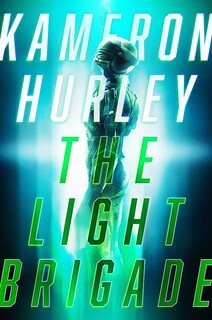 Plus, I must say- gorgeous cover! Sold! I have a soft spot for harrowings and for well-rendered Greek historical fantasies (Wolfe’s Soldier series being the best I’ve encountered). Can’t wait to read it, and wonderful “Big Idea” piece. 13-Indeed, John Godward by the looks of it, a rather underrated artist IMHO. the only female figure in classical mythology who enters the underworld on purpose. If by classical mythology, we mean Greek, OK. But what about Babylonian or Indian? Anyhow, it sounds cool to me as well. Admetus does deserve a smacking at the very least. Euripides was being subversive, by the standards of his time — he took the myth and used it to portray Admetus being a whiny, selfish, self-centred jerk, who really doesn’t deserve Alkestis or her sacrifice. IIRC, prior versions represented him as reasonable and justified in his pathetic attempts to whinge his way to a longer life by expecting someone else to die in his place. He does realise, after Alkestis is dead, that he’s been a jerk, and Herakles allows him a second chance that he didn’t deserve either. Herakles is portrayed as well-intentioned, even if he does get drunk and brag about his exploits. I seem to recall that he rescues Alkestis more because she deserves better than because Admetus deserves anything. I’ll definitely have to read this book! Yay, I love that kind of turn-myth-a-little-on-its-head stuff. Thanks John! That looks great! I can’t wait to pick it up. I really appreciate your Big Idea posts. Thank you all very much for the lovely comments! 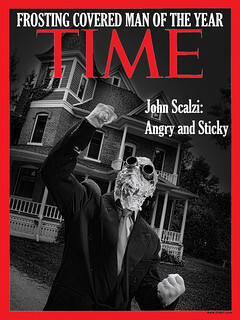 (And extra thanks to Mr. Scalzi, again.) This is really making my day. @5: I didn’t know a great deal about Inanna, but yeah, her tale definitely contains elements similar to the Persephone myth and Alcestis’s story — except that Inanna is kind of acting the parts of Hades and Admetus, respectively. (The bit about her corpse hanging from a hook on the wall is pretty gross, too. Sumerian myth — kind of like Resident Evil?) Thank you for the link! @16 & 18, you’re both totally right. I was a classics major (*high-five for DanielF right here*), so I tend to use the term reflexively to describe Greek/ Roman things. This looks really exciting — I can’t wait to read it! I studied a lot of Greek drama in grad school, and I think I did a paper on Alcestis. And yes, a beautiful cover! Definitely sounds like an interesting reimagining of the myth. I’ll take a look at it. The bit about her corpse hanging from a hook on the wall is pretty gross, too. Not “she died”; not “was killed”; instead was turned into a corpse. Mac – I’m not familiar with any Chinese or Mezo-American myths of a maiden descending to the underworld, but there are Polynesian and Native American ones. Good point. Did I mention that my mythology section takes up an entire floor to ceiling bookcase?